You all know how much I love versatile pieces and this Veronica Beard dress is definitely a new favorite of mine. Veronica Beard is one of the brands I always keep an eye on and would always be willing to splurge on because I think their pieces are so wearable in so many ways. They have a lot of classic blazers, sweaters, tees and dresses, but also lots of “cool girl” pieces that you can easily mix and match into your wardrobe. I picked up this dress at Neiman Marcus at the Somerset Collection recently and was excited to show you all two ways to wear it. First, really casually I threw it over jeans and an easy ruffle tee. 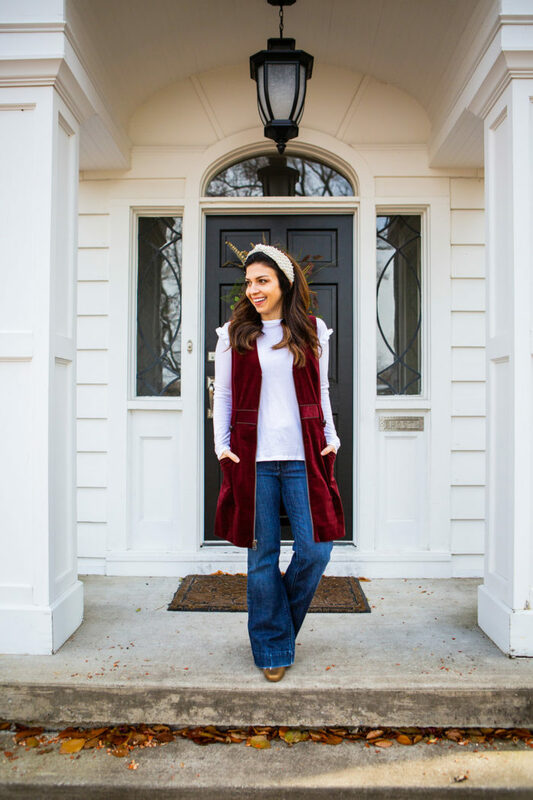 I’m also still finding lots of ways to wear this Lele Sadoughi headband and when you create a more casual outfit like this, it’s a great item to add to just fancy it up a bit – and it really helps perk up a not-so-good hair day! To get a little more dressed up, I paired it with a navy turtleneck and tights, with burgundy heels for a client holiday party. I felt like the color combination made a great holiday look, but was also really comfortable! By the way, this dress has pockets and we all know that fact makes it even better! It was also displayed at Neiman Marcus with skinny jeans and this dress. The dress added a little bit of sparkle (a little Lori Caplin-inspired!) and is a pretty versatile piece on its own. 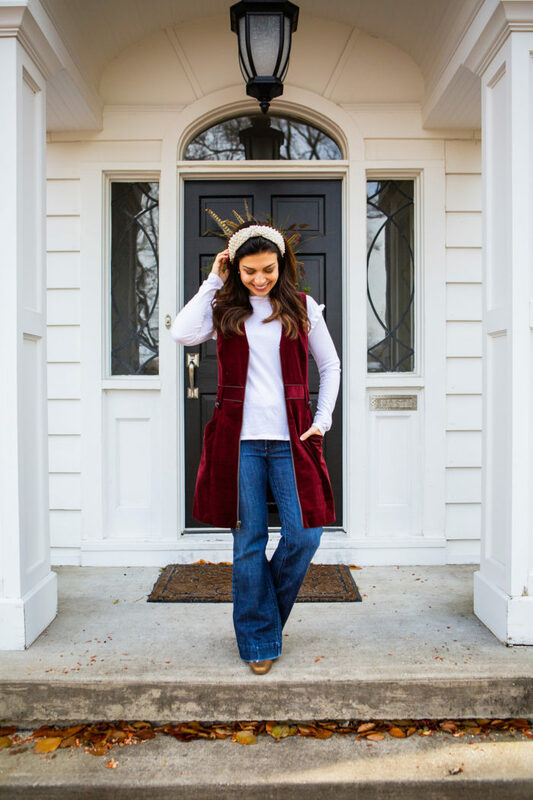 It would be great just as a dress but worked so well as a tunic/top layer too – and I may have to keep an eye on this one to add it to my closet this winter!